This order is the second grade of the Holy Celtic Order of the Temple dedicated to St John the Baptist but honouring equally the other St John, the Beloved Disciple. We aim to weave together the Johannite and Johannine strands of spirituality; the Sword of the Baptist with the Chalice of the Evangelist; the active, prophetic crusading spirit, with the more reflective, mystical and nurturing approach. 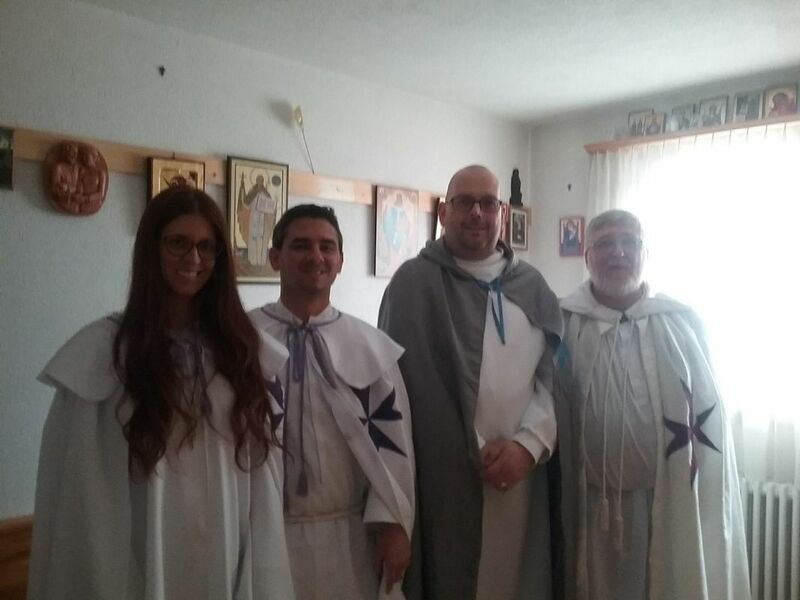 Devoted to works of mercy and prophetic evangelisation, KSJB is reserved to men ordained to the minor or major orders within the Apostolic Sucession. Deaconesses may also be admitted as Dames of the order and professed Religious may be admitted as Knights or Dames, as appropriate. 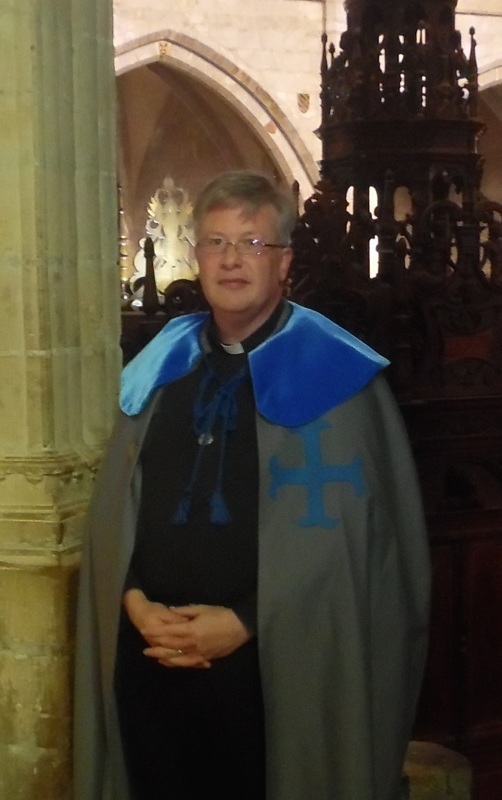 Some of the rituals of this grade are based on ancient Cathar sources and the distinctive regalia is a grey mantle with a blue cross patee on the left breast. Those interested may make further enquiries using the form below. The Grail stories, rooted in Celtic legend, were known to both the Cathar nobility of Languedoc and the later Knights Templar, many of whom had family connections in Languedoc and were known to have been sympathethic to the Cathars. 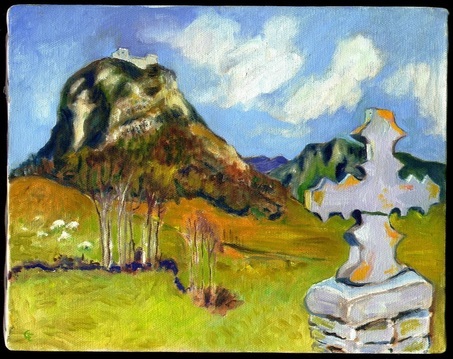 Some even believe that the Cathars were actually custodians of the Grail itself and after the fall of Montségur passed it to the Templars for safe keeping, whilst another story claims that on the day of the martyrdom of the Cathars of Montségur (16th March, 1244), the Bonne Dame Esclarmonde de Pereille ascended into the heavens in the form of a dove while holding the Holy Grail in her claws. When the mountain beneath her opened up to receive the Grail she then dropped the Holy Grail into the mountain, after which the mountain closed again. 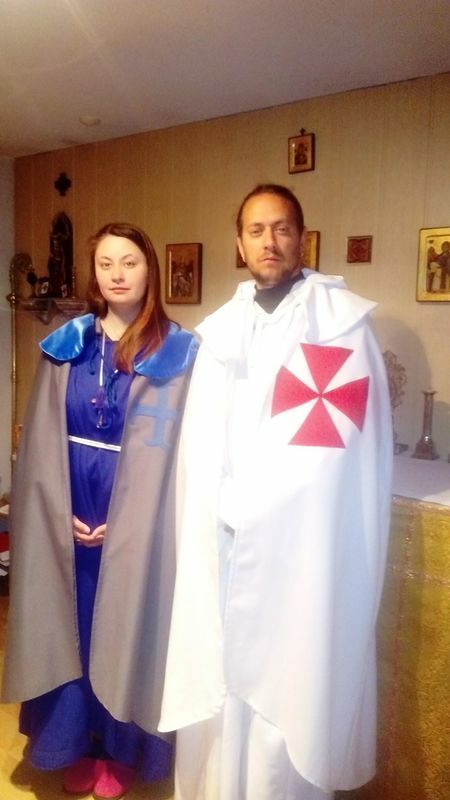 Both the Cathars and the Templars also venerated St Mary Magdalene around whom there is a strong Grail tradition and even skeptics tend to admit that the Grail legends contain some veiled Gnostic teachings. St John the Divine and St John the Baptist have always been especially revered by the Celts, particularly Scots, and Freemasonry, originating in Scotland, perpetuated this Johannite and quasi-Gnostic tradition to some extent. The Cathars likewise held the Gospel according to St John in particularly high regard. There is some evidence of both Grail and Johannine lore surviving, despite persecution from mainstream Muslims, among the Alawite people in Syria and it has been suggested that the Templars may have come into contact with this lore and brought it back to Europe. The Templars themselves also feature in the Grail story Parzival by Wolfram von Eschenbach. 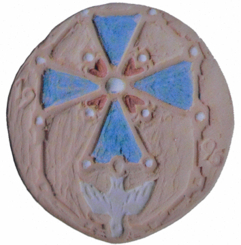 The Dove, symbol of Sophia and the Holy Spirit, was particularly beloved by the Cathars and also makes an appearance in the Columban tradition, which in the person of St Columbanus founded a mission in Lombardia, an area which later became a centre of Catharism in the middle ages. Memories of the simplicity and purity of these Celtic monastic foundations may have been an inspiration to the early Franciscans as well as the Waldensians and Cathars of northern Italy. O Christ our Lord, who sent forth Thy servant John the Baptist to prepare Thy way before Thee; accept us now, we pray Thee, unworthy though we be, as heralds of thy glorious coming, that by devotion, steadfastness, and gentleness; in preaching and ministering to Thy people, we too may win men's hearts to thee, whom we confess as Lord and Master, now and evermore. Amen. Remember them, O Lord in Thy kingdom. The faithful who did not adore the Beast and whom the Beast has slain. The faithful who served Thee because they could do no other, who lived in an age when the right to seek Thee was bought with their lives. Remember those who gave more than they could, more indeed than they possessed; more than they ever should have given. They could do no other. Mercy, Lord on all the burned ones of this world. Mercy on all who loved beyond this world. On all who have loved. On all who have had some true thing to love. Amen. “When we surrendered the castle at the order of Our Divinity, part of us accepted the voluntary act and, having followed Christ during His arrest at Gethsemane, surrendered into captivity, in order to testify to the true faith." "And then the Son of God shall sit on the right hand of his Father, and the Father shall command His angels that they minister unto them [the just]; and He shall place them in the choir of angels and clothe them in imperishable raiment; and He shall give them crowns never fading and seats unmoving. And God shall be in their midst. 'They shall no more hunger nor thirst; neither shall the sun fall on them, nor any heat. And God shall wipe away all tears from their eyes.' And [the Son] shall reign with his Holy Father, and his reign shall endure forevermore."